A bad filing structure means your employees have to spend a lot of time reaching the right documents and if a standard practice is not followed, the result is ad-hoc document storage which leads to confusion, wasted time and loss of important documents. There are chances your employees will have to click and search a lot before they stumble on the right file. Docsvault, our document management software, offers Folder Sections feature, so that your files are only 2 or 3 layers deep. 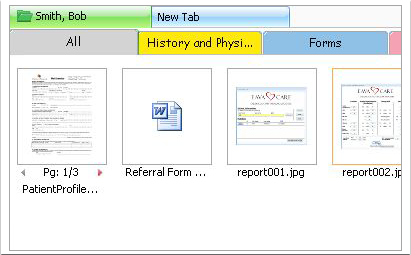 All employee records such as personnel file (attendance, performance, memo, JD, applications, etc), medical/benefits file (insurance, drug test, medical checkup, etc), payroll file (timecards, payslips, etc), I-9 file and other documents can be stored in one single folder. This folder includes multiple logical sections. These sections help your employees to access documents easily in a couple of clicks. Many people do not make complete use of folder sections and still use the traditional method of file storage. All companies must train their employees to use folder sections feature effectively, so that all your documents can be easily accessed.